Commissioned to celebrate our creative neighborhoods and to dovetail with the spotlight gallery exhibition, Grid Series: Communities, Cleveland Heights artist Kate Snow has created the first edition in Heights Arts’ new line of limited edition ARTISTees, as well as a screenprinted grid paper notepad for all types of doodlers and thinkers. 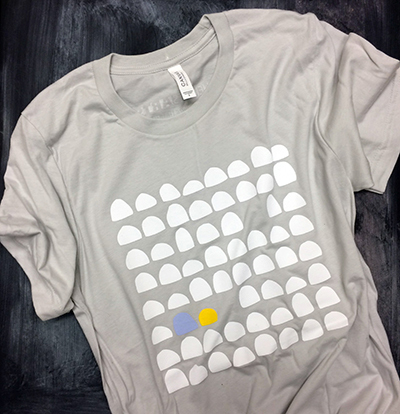 Screenprinted tees edition of 96, in soft and comfy ring-spun cotton. S-XL. Heights Arts limited edition artist commissions are supported through generous funding by the Eaton Foundation.